Just one week left to get your nominations for the Volunteer Ireland Awards in! We'd love to see lots of nominations (and winners!) from Louth this year . The nomination process closes on October 13th, so if you know (or are) a dedicated volunteer that you would like to be considered for the award, send their details in. Each entrant gets a Thank you card automatically from Volunteer Ireland. Lots of opportunities to get involved!! Check out our online Calendar to view upcoming events and community visits by our team. Dunleer Tidy Towns hold a Duck Derby to highlight the work that they are doing to the community in Dunleer. This year it is being held on Sunday 4th June. With traditional games and stalls this is always a fun event to help out at. Volunteers will be required to help out from 1-5pm. Clogherhead RNLI Lifeboat station are holding a coffee morning in Listoke House on Sunday 4th June from 12pm-3pm and would appreciate the support of volunteers. Click here for more. MS Ireland (Louth Voluntary Branch) are looking for Volunteers to help with Bag Packing in the Tesco Extra Store, Donore Rd. Drogheda, on Saturday 3rd and Sunday 4th June. All funds raised are used to support local people with Multiple Sclerosis. If you have two hours to spare, they would be delighted with your help. Clogherhead Lifeboat Station are opening a shop in Clogherhead two days per week for the months of June, July and August. Volunteers can contribute whatever time they have available and rosters would be developed based on volunteer availability. Welcome to the latest edition of Volunteering Matters. 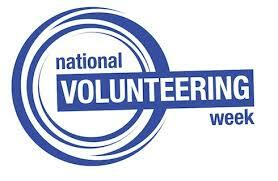 May was a fantastic month with National Volunteering Week from the 15th to the 21st May. We were busy with our Volunteering Leadership Seminar, a variety of events including the National Leprechaun Hunt and our simultaneous open days in Drogheda, Dundalk and Ardee. Thanks to all the volunteers who popped in to us in our offices on Thursday 18th May, we hope you enjoyed the buns! June is shaping up to be a busy month also with lots of events for you to get involved in all across County Louth. Take a look at the details below of the some of the many volunteering opportunities available on www.volunteerlouth.ie. To celebrate National Volunteering Week 2017, Volunteer Ireland, in partnership with Volunteer Centres across Ireland, launched a new report exploring the impact of volunteering on health and wellbeing of volunteers. Launched by Minister of State Catherine Byrne on the 16th May it takes a different approach by exploring exactly how people feel when they volunteer, what it is about volunteering that elicits these feelings and how exactly volunteering impacts on the overall well-being of volunteers. Read the full report here. Be part of the inaugural Crafty Rock Kids Art in Action event in Dundalk's Market Square on Saturday June 3rd. There are a variety of roles for volunteer event stewards on the day. Volunteers are asked to arrive at Market Square at 10am. Full details and apply at this link. The Irish Maritime Festival is the largest maritime festival in Ireland and a major event on our volunteering calendar. This year's festival takes place on the 10th and 11th June and there are a variety of Festival Crew volunteering opportunities and shifts available. This event is always extremely popular with volunteers and we receive very positive feedback in relation to the volunteering experience. Information session for volunteers is being held on the 6th June so if you are interested we would advise applying before then. The County Louth Agricultural Show takes place this year on Sunday 11th June. Shows like the Louth Agricultural Show help to preserve traditions handed down through generations which otherwise could be forgotten. They are currently seeking Volunteer Show Marshalls to help out for 4 hours between 9am and 6pm. Lunch, tea and coffee will be provided to volunteers. 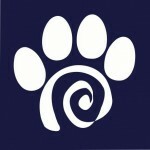 Drogheda Animal Rescue have lots of exciting new volunteer roles available on our website. These include cat fostering, dog team volunteers, event coordinators, general administration, public relations, and fundraising team volunteers. 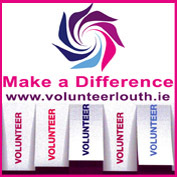 Go to volunteering opportunities on www.volunteerlouth.ie and select 'Animals' as the cause on the dropdown list to see the full list of available opportunities. Welcome to the latest edition of our organisation newsletter! In this edition, we have a number of free tools to help you and your organisation recruit, retain and manage volunteers more effectively. Our regular newsletters are an easy way to keep up-to-date with new developments and interesting information in the area of volunteering. Please feel free to share with colleagues or let us know if you would like to add further contacts to our mailing list. We hope you enjoy our latest updates! Louth Volunteer Centre has developed this needs assessment, to help organisations who involve volunteers, such as your organisation, identify gaps in volunteer recruitment, management and retention. Upon completion of the assessment, we will make contact with you in terms of gaps identified. This will enable us to tailor our support services regarding your organisation's individual volunteering needs and help you to improve your volunteer programme. We are asking every organisation registered with Louth Volunteer Centre, to complete this assessment. We hope you will find it useful. What do we need to accomplish in our organisation? What tasks could be accomplished with a volunteer's help? Is your organisation a Registered Charity/does your organisation have a CHY number? 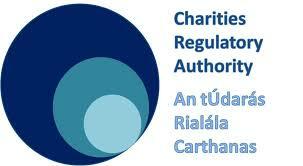 Have you registered with the Charities Regulator? Louth Volunteer Centre is currently contacting small local organisations who have not as yet engaged with the Charities Regulator and do have charitable status. We are providing supports to small local charities to help with their compliance obligations – contact Gráinne at 041 9809008 for more information. Does your organisation sometimes struggle to manage volunteers or staff across multiple shifts? Do you sometimes wish that you had a better system for donation management? Louth Volunteer Centre is delighted to announce that we have been invited to participate in a pilot scheme which could help streamline the work that your organisation carries out. 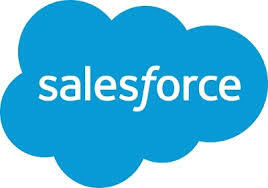 Salesforce is a world-renowned system that has helped non-profits both big and small to improve their workflows. FREE development support in creating a Volunteer, Client and/or donor management system that is tailored to your needs. National Volunteering Week is the one week of the year where we all get to celebrate the impact and value of volunteering. 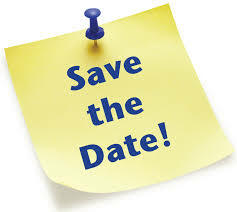 We will be hosting some new events this year and will send you further details in April. The date for this year’s Volunteer Ireland National conference has been confirmed. To celebrate Sligo's designation as European Volunteering Capital 2017, this year's conference will take place on Tuesday 30th May in the Aurivo Auditorium in Sligo Institute of Technology. Additional information will follow in future newsletters! 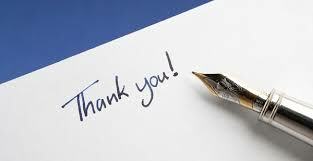 Many thanks to all of you who recently completed the survey sent by Volunteer Ireland. We appreciate your invaluable feedback and the contribution you made, in terms of helping us ensure we are providing the most effective and efficient service to organisations. One-to-one consultancy - support in recruiting, managing and retaining volunteers. Promotion of your volunteering opportunities. Support in creating and registering new volunteering opportunities. Volunteer Managers Forum - an opportunity to meet with other volunteer co-ordinators, to share ideas/experiences and get tips from one another. 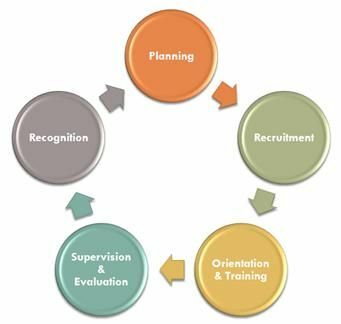 Garda Vetting Service - we are authorised signatories in terms of processsing your vetting forms..
Volunteer Management Training - comprehensive training in all aspects of volunteer management. Please don't hesitate to contact us on 041 9809008 for all your volunteering needs.